Sare Jahan Se Acha Socio Eco Pol Foundation, a section 8 Not for Profit company, was started with one objective, Can the negativity around us, be changed to positivity? Can the complaints around us be replaced by inspiration? 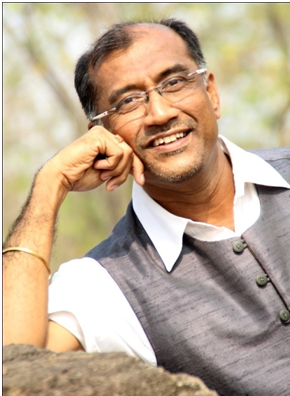 Raja Narasimhan and Priti Raja are firm believers in goodness. And they took the baton in their hands to head-start this journey. INDIES, Connect and Care is our flagship project to help volunteers who are already doing tremendous amount of good work for our Stray dogs to do so, more effectively and efficiently. It is a solution based on 5C Principles– Collar, Census, Control, Co-exist and Collaborate. Animals & Nature have always fascinated and comforted Supriya. She has spent the better part of her life working for and with animals. 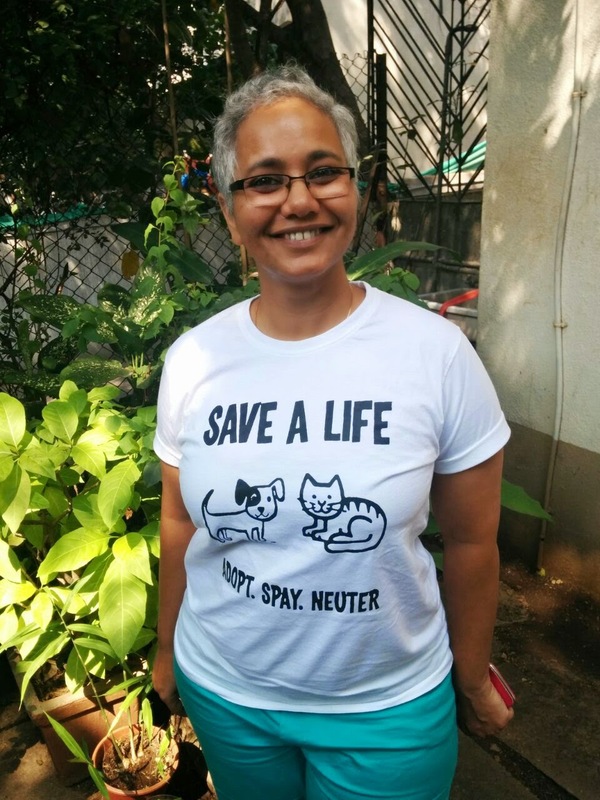 Supriya was the hospital manager of The Bombay Society for the Prevention of Cruelty to Animals (Bombay SPCA) including the Bai Sakarbai Dinshaw Petit Hospital for Animals for 10 years in addition to other appointments. She has been a consultant for several animal welfare NGOs and has also set up a very large animal shelter in Ahmednagar district. Supriya is keenly interested in animal welfare & feels animal rights are not considered as seriously as they should be. In 1997, Supriya was selected by the RSPCA, UK, for training in animal hospital management, law enforcement, animal handling, fund raising and allied subjects. 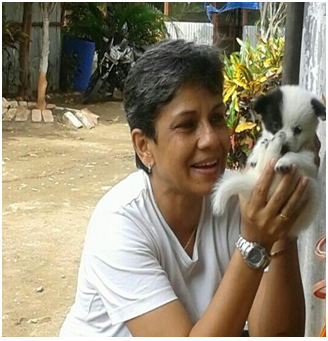 She is also an Animal Welfare Officer appointed by the Bombay High Court & the Govt. of Maharashtra. Additionally, Supriya has conducted several animal welfare training programs for the Animal Welfare Board of India. Manjiree is an Animal Volunteer and Activist, based in Kalyani Nagar, Pune. Born in Lucknow and raised in the Middle East, she came to Pune in 1985 and from the very beginning used to take care of the various animal visitors in her area. Over a period of time, this extended to having pets in the house, mainly kittens and puppies. A BA (Economics) graduate from Fergusson College in 1994 she has worked with a number of Corporates in Pune and Mumbai, primarily in Customer Relations. Her initial foray into animal welfare started when in 2008 when visiting the PMC dog pound near Pune Station she was horrified at the conditions there and unable to take it she along with her sisters set about implementing processes, streamlining catching, operations and release, as well as treating the injured and sick animals there. Eventually, this led to becoming volunteers for street animal social initiatives such as rescues, onsite treatment, adoptions, cruelty cases, and the reduction of human animal conflict. After receiving Level One training from a noted NGO, ResQ, and Manjiree started treating sick and injured animals on the streets itself. Eventually the interactions with the PMC led to activism to set up an animal incinerator, streamline the citywide sterilization efforts and overall street dog wellbeing including vaccinations. Manjiree became well known as a Counselor, facilitating adoptions, streamlining active volunteers in the city and eventually became an Honorary Animal Welfare Officer, appointed by the Ministry of Environment, Climate and Forest Conservation. During her tenure, she took up a lot of projects with the PMC, PCMC and also did a lot of work in Housing Societies to reduce Human Animal Conflict, besides taking up animal cruelty and abuse cases. After this tenure, she continues to be an active volunteer, guide residents, PMC officials and volunteers in these activities. 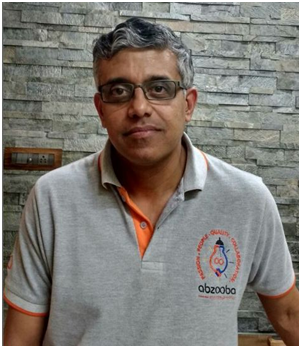 R. Krishna Kumar (“KK”) has over 20 years of experience in the IT industry, and leads the India Development Center for Abzooba Inc, a US-based Analytics startup. 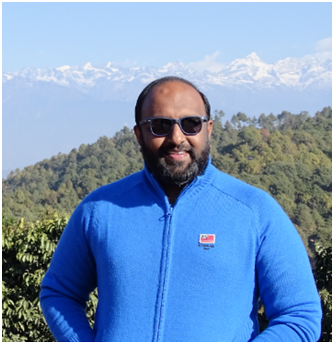 He has proven expertise in architecting large systems, and designing enterprise-wide solutions for data analytics. He has co-authored several technical papers, and two international patents. He received his B. Tech. and M. Tech. degrees in Electrical Engineering from Indian Institute of Technology, Bombay. His interests include hiking, running and reading. A childhood filled with “Amar Chitra Katha” stories and re-tellings of the Indian epics kindled an interest in mythology which has survived till today. He is an animal lover and wants to contribute to their well being through technology. Shivani Mohite has 16 plus years experience in the BPO industry and has worked with various international clients in facilitating and setting up their offshore operations in the finance and accounting area. An army kid she has been surrounded by plants and animals all her life and developed a passion for animal welfare after being encouraged by her parents to pick up injured birds and animals and nurture them back to health. Shivani started volunteering at Jeev Raksha under the guidance of Leela Tai Parulekar at the age of 16 and today is a full time volunteer helping her area volunteers in rescuing, vaccinating, on-site treatment of the dogs. 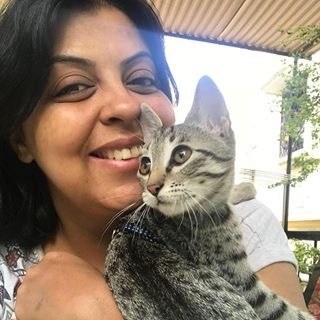 Currently with two cats, 2 Indies, couple of fish and a bunch of stray cats Shivani hopes to drive home the message that all animals deserve a voice and deserve to be treated humanely. 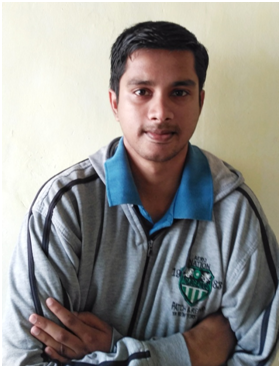 Shubham is an engineering student by profession, who is also a supporter of animal rights. He finds inspiration from everything happening around him and hopes to find balance in life. He likes to read, listen to music, and come up with crazy ideas, and has been inspired by people like Nikola Tesla, Isaac Asimov, Marie Curie, Margaret Perey, Destin Sandlin, Don Petit, CV Raman and many more. Shubham would like to learn how the universe works and then use that knowledge to make the world a better place. He also hopes to someday travel the world and unravel some of its mysteries. He has proven expertise in Risk Management, establishing robust control framework & leading large teams. He is a qualified Chartered Accountant & a Certified Corporate Director and has international experience, having worked in US & Singapore. He loves travelling and is captivated by the mystic spell of The Himalayas. 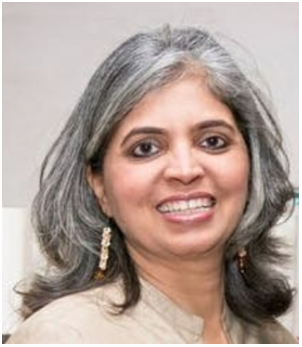 She started her career with American Express Bank in Kolkata and then moved to Chennai in 1995 where she conducted Relocation and Acclimatization programmes for Expats. She has an eye for art and creativity and was the Chief 3D Cake Artisan in her Entrepreneurial venture Kremes n Krusts. Her love for animals and specially dogs (after her Labrador Cara came into her life) led her to formulate a multigrain preservative free meal for dogs which she markets under the brand SLURP. The Spit Free India campaign by SJSA is another project close to her heart. She hopes to carry the message of clean India through children who she believes are the real transformers. Raja Narasimhan has 25 plus years experience in Banking and Technology. He has served American Express, Infosys and Kanbay in Senior positions. The taste of Entrepreneurship caught him 12 years ago. Currently, he has launched India’s first eCommerce portal to promote Made in India Products and Services exclusively for Animals. Amongst other topics, he also conducts sessions on ‘A to Z Life lessons’, which addresses pre-career preparedness value based talk for Post Graduate students. Animals fascinate him. He has a Labrador pet and he admits she ‘fixed’ him in many ways. He has been working towards a ‘Better India’ by promoting Goodness through the Foundation, Sare Jahan Se Acha that he and his wife established in 2013. He has been receiving extensive support to spread Goodness from citizens of various walks of life.